I love it. I loathe it. This is where we start to notice the first signs of spring. The earth begins to stir. Awakening. The crone sheds her robes for those of the maiden, and all of nature shows the promise of new life and rebirth. I celebrate Imbolc on the 2nd February, not all witches share this date, some will celebrate on the first, some on the closest full moon – which, this year, is on the 3rd. In our house, we share Imbolc with my eldest sons birthday. Plenty of festivities revolving around him, the family, and lots of cake! I do always set aside a little time for my own personal ritual, sometimes one that is shared with friends, but mostly it’s my own. For me, Imbolc begins the week before. I have a huge spring clean: I open all of the windows, regardless of the weather, I scrub and polish and sweep and mop. Once the physical act of cleaning is done, I will then cleanse the house. I sweep again, usually with my besom, I polish the light bulbs with lemon juice, I drum, and finally I go through each room with some healing, before closing all the windows again. I will also spend time out in the garden.This is the time of year that I will potter around the garden, get some general tidying up done, and make a list of things I will need to do. This year, I’ve made my list early! Plans are afoot for a mosaic path, seeds have been purchased for ground cover; Thyme, Lobelia, Allyssum, and Chamomile. I can already see the signs of growth and new life showing. My roses are budding, the catkins on my hazel are gently nosing their way out, the crocus plants are pushing through! Even the birds are becoming more vocal. By the time the day arrives, I will be buzzing with anticipation. Jakes birthday always rushes by in a haze. 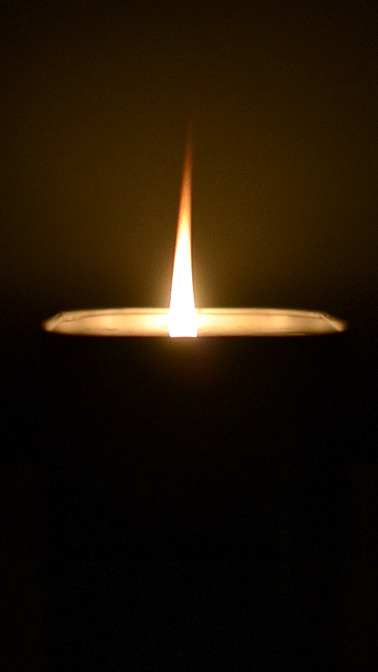 After the crazy, and the cake, I usually find myself lighting the candles, enjoying the moment, meditating, and relaxing into the flow of my ritual. Boom! Snow, and frost, and ice, and cold, and the misery of wet socks! I am a complete grouch. Because I’m cold, I’m fed up, I grow weary of this wintery hell. Woe. Woe. Woe. What is it with this holiday? Hubby will, of course, be grinning at this point, he knows what’s about to happen. He has seen me getting excited about Imbolc, year upon year. We will have planned the birthday. He’ll watch me chase around and make lists, and delve into my house cleaning frenzy. He also knows what will happen next: I’ll get my wellies on, my big coat, gloves, hat, etc, I’ll run outside with the dogs and enjoy the crisp air on my face, I’ll laugh at the dogs as they jump around like lambs, and I’ll go check the jobs on my list, surveying the situation. I might even at this point begin with clearing the ground. Then I’ll stand in the middle of the lawn and begin to cry. It’s true. Every damn year. It’s not a real “I’m so sad” cry. It’s frustration. My wellies aren’t keeping my feet warm, my coat is too bulky, my hands are useless in the gloves and my hat is, well actually, my hat is fine. I will then slam back indoors, crank up the heating and throw myself onto the sofa. Every year. Can I be different this year? I’ll let you know. For now, whenever and however you celebrate Imbolc, I do wish you a happy one, and hope that the holiday brings you much light and warmth. I’ve spent the last couple of nights writing until around 4:00 am. I love it when this happens. I’ve always been a night owl, and enjoy the silence that comes when everyone in my family sleeps and all I can hear is the wind outside and our neighbourhood (real) owl. I have had a complete re-jig of Wytch. When I first began this blog back in March it was with the intention of writing a book that I had a little idea of what was going to happen. I had some great characters forming in my head, a world that was beginning to show itself to me in which to set the story in, and yet no real plot. Vague ideas floated around. I knew I wanted it to be about magic. I had the central structure of my magical rules balanced out. I knew that three characters’ lives in particular had to collide in one way or another. So, I played around with a few scenes and had fun creating situations and gathering information for my world. I even drew out a map and dreamed up the way in which my characters would measure time, how they perceived the after life , and other small things that contribute hugely to world building. The A-Z Challenge in April was extremely useful to me with much of the planning, however it also allowed me to get carried away. I was a balloon, floating ever higher into the sky, and when I looked down I realised, I had forgotten about the story, the adventure, I could no longer see the world as it was supposed to be, only a blur of colours. As I said previously, when I decided to join NaNoWriMo, I had to completely re-work my book idea. I removed scenes and characters, I changed some of the story line, and now I hope, the book will flow. I’ve come down from the balloon and discovered my borders and boundaries, I have a clear view of the journey. The past will now stay in the past, but the history will be hinted at and folk stories told through the present day characters. Magic will be explained throughout, instead of me trying so desperately to explain the workings of it in text book style. The biggest decision I made was to change the format of my heroes. It drove me mad, with two characters constantly fighting over who was to be the star of the show! I hope I’ve done the right thing. I’ve been at it now for two days, and managed 10,000 words or so. I am pleased so far with what I’ve written, I have plans to continue to write as much as possible. I’m not editing as I go either, which always seems to be my downfall, it’s so far about the word count, and getting the story told. Editing will come later, as it does with my short stories. It just means that there won’t be any excerpts posted here for a while! Her lovely description of her own faith is threefold: Her spiritual path is Pagan. Her religion is Wicca. Her practice is that of a witch. The discussion she has started here, not only for Not Quite Wicked and myself, but for others too, is that if you are not a member of a traditional wiccan coven, you can’t really call yourself wiccan, or can you? It raises for me a point, which disturbs me on a spiritual level, but also on a more global level. That is, if a group of like minded people can’t agree on their own religion or spiritual belief, then what hope is there? I was once taught, in my first job as a trainee hairdresser, that I must never get into a conversation regarding politics, religion or football. This, my boss told me, is how wars begin. I laughed, but it’s true. I stick to the rule regarding politics. My lips are sealed unless with family. As for football? I support Liverpool, if you don’t like that, I’m not sorry. Religion however, I like to discuss this subject. Is this because of my line of work (no longer a hairdresser, by the way…) As you know, I have been a therapist, and a teacher for spiritual growth. This doesn’t give me permission to preach, nor does it entitle me to convert others into my belief system. However, it has given me insight into other peoples thoughts and views on the subject. I find it extraordinary that people will question me about Paganism and what it is to be a witch, with either out and out disgust, a curious raise of an eyebrow as to why, and of course the obligatory relish of “Teach me everything, I wanna be a witch!”. Others have tried to convert me. Having said that, I have many friends of many faiths, and our discussions are always enlightening, eye opening, occasionally challenging. They are always uplifting! I myself, have been Pagan for thirty years, a practising witch on and off for the most part, and a wiccan for some of that time. I am what you might call an eclectic witch. I honour the God and Goddess in equal balance, I honour the turning of the years wheel and nature, I practise spell crafting, I write in my book of shadows and I continue to learn, even after all these years, I still need to know more. My spirituality is older than something that began in the 1950’s. My faith reaches through time and space and weaves it’s way throughout history, through many countries and cultures. As the ancient shamans before me I have shifted and taken many forms. My faith challenges me, it nourishes me and encourages me to grow, it empowers me. My faith has given me strength to fight illness, and conquer it. It continues to teach me. I see how my friends faiths and beliefs do the same for them. They do not stand in judgement of me, nor I them. So why are there people out there of the same faith as this woman who are judging her? And sadly, not just her. I have heard one too many stories now, and been a part of this conversation and discussion before, too many times. 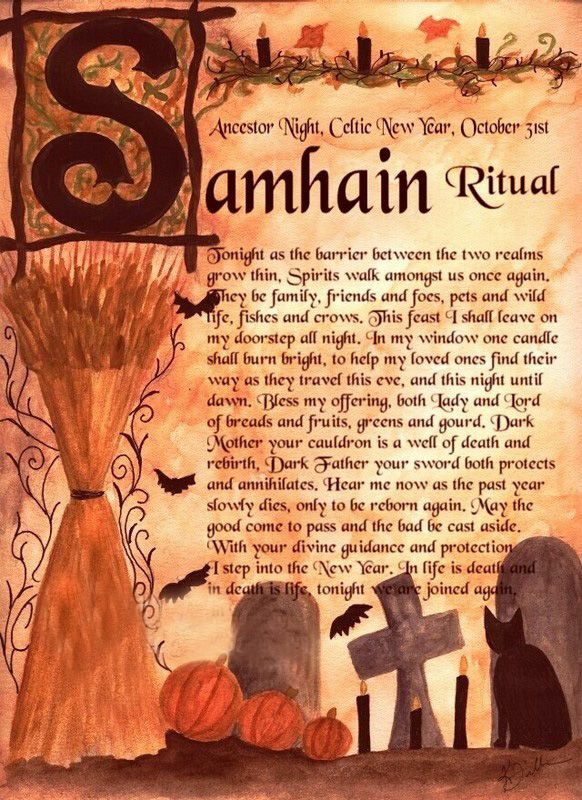 October is on the horizon, and Halloween (Samhain) draws ever closer. Would any one be interested in joining us? It seems like the right time for it. I need to check out how to start a hop – It involves some kind of linky tool, I am told… Research I shall! If you are interested in joining in the discussion, leave a comment here or over on Not Quite Wicked, and let’s find out what it is that makes a witch, a witch, whatever your religion, belief, or football team! *There will be rules – Mainly that no one is hurtful or malicious to any one else’s belief. But that will be outlined on the next post. I guess you could call me Alice this last couple of weeks. I’ve been on a bit of side mission. *Laughs at silly video game reference! One of my favourite games on Xbox was Alice: Madness returns I don’t think I’m mad though! I’ve been meditating an awful lot. I think it happens mostly in life when you experience one of the big celebrations or turning points; births, weddings, deaths, divorce, moves, etc. From previous posts, you will note that a friend of ours recently passed over to spirit. I hadn’t spoken or seen her in a while, and I wish I had have got the chance to visit – Alas, life kind of gets in the way sometimes. However, her passing threw an old eclectic gaggle of witches back together (yes, Wolf Maiden I hear you laughing!) and I realised with a great sadness that we stopped seeing each other. We ceased in our gatherings and magical meetings for no other reason than life getting in the way. I suppose this is the way of the solitary witch. But I’m not built for solitary witching. Of course, I can and do work alone, I began that way at aged 13 – too damn scared to come out of the Broom closet at that age. However as I grew up, I met more and more like minded people, and learned how much fun it is and how much more potent the magic is when crafting is shared between two or more witches – all focused and intent on the same goal. I have decided to meet the old gal pals more than I have over the years. Not necessarily to work with them, but certainly to catch up and laugh with them – funerals are funny aren’t they? We laughed so much, more than we cried in fact, and I think that serves our friends memory well. She laughed A LOT. So… fast forward to after the funeral. I got to thinking. Why don’t I have that magical group energy in my life any more? Where did my coven go? I say coven; I used to teach, I used to have many groups with students of the craft, and I called them my coven. I had a few – I used to be a coven collector! In my thinking, I got to meditating on some important issues that I realise now, I had been ignoring! I’ve followed some interesting signs, signs that can not be ignored. Signs that have been huge and neon, and address me by name – They really can not be ignored! And, while I apologise to you, dear bloggers and readers for not writing my book and keeping up with my posts here (again!!) there is something bigger I have to work on at this moment in time. Once balanced though, I promise to do better. Just as soon as I can figure out where the Mad Hatter is. It’s following a rabbit that got me here, down this hole. No cake though… I’m not amused!